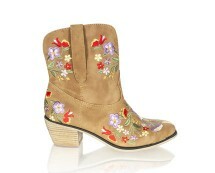 If you are interested in purchasing a pair of good looking and comfortable boots, for £36.00 you can have it from misselfridge.com. 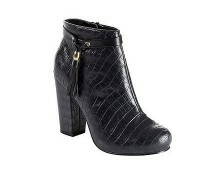 As these suedette ankle boots match a lot of styles, you can consider this purchase as a practical investment. 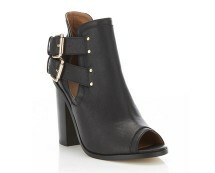 You can wear them either with a pair of jeans or any model of trousers, or with a casual skirt or a denim dress. 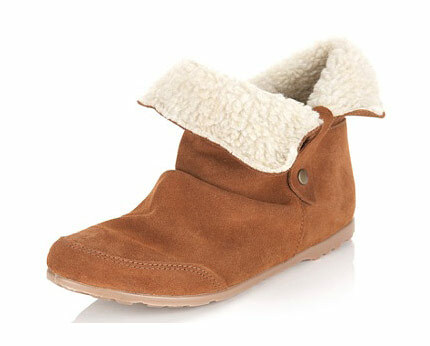 They feature buttons on the side, faux fur lining and back zip. In addition, the buttons on the side allow folding them up and down, and thus, you can change the look of your boots as often as you want. 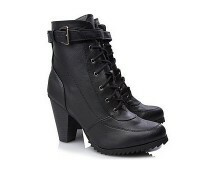 The boots will keep you warm in the late autumn/early winter period. And, as they are very comfortable, you will be able to wear them for long walks without risking blisters on your feet.